Can HST Repair My Spindle? - High Speed Technologies, Inc. It is almost a certainty that we can repair your spindle to like new condition. 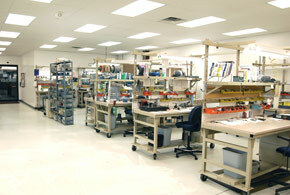 HST has over 100,000 spindle repairs in our data base and over 30 years of experience. The chances are very good that we’ve repaired a spindle similar to yours. Our technicians understand the theory behind spindle design. They are fully trained in the application of super precision spindle bearings. So when you send your spindle to HST you will get our decades of experience along with our expert training as your guaranty for an OEM quality rebuild. And we back that up with a full written warranty.